The Endometriosis Association (Qld) Inc, or "QENDO" is a dedicated group of volunteers who work to raise awareness of, provide support to, and educate those affected by endometriosis. QENDO works to provide relevant and up to date information whilst remaining medically apolitical. 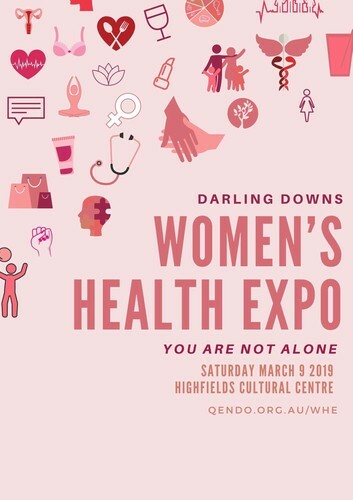 QENDO is holding a Women's Health Expo on 9 March 2019 at Highfields Cultural Centre. This is a Toowoomba Community event to show the women of this region that they have a support network that they can rely on. The QENDO Expo will have a range of exhibitor stalls, and guest speakers covering a range of topics such as "what is endometriosis", nutrition, diet, cooking demonstrations, Endomeet for Teens, alternative medicines and Yoga classes.